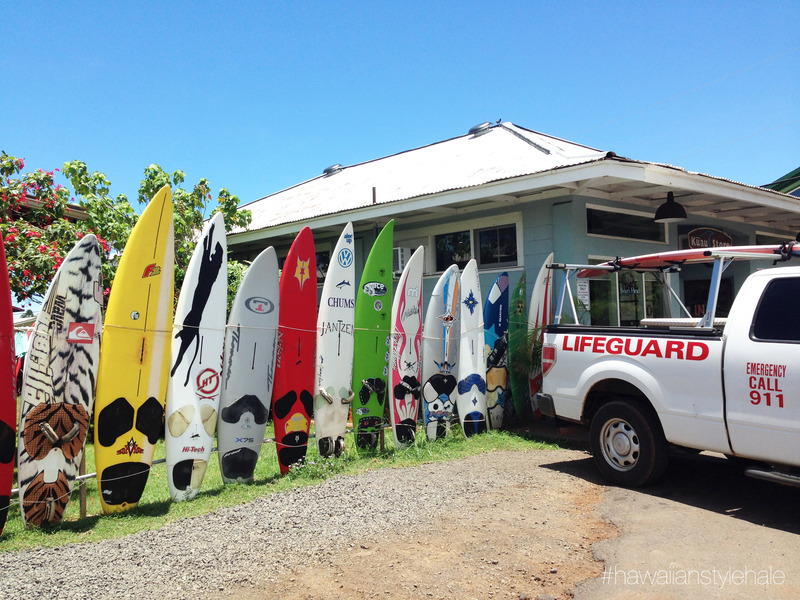 If you’ve ever driven through Pa’ia and continued down Hana Highway, there’s no way you could have missed this iconic row of surfboards long the makai (oceanside) of the road. 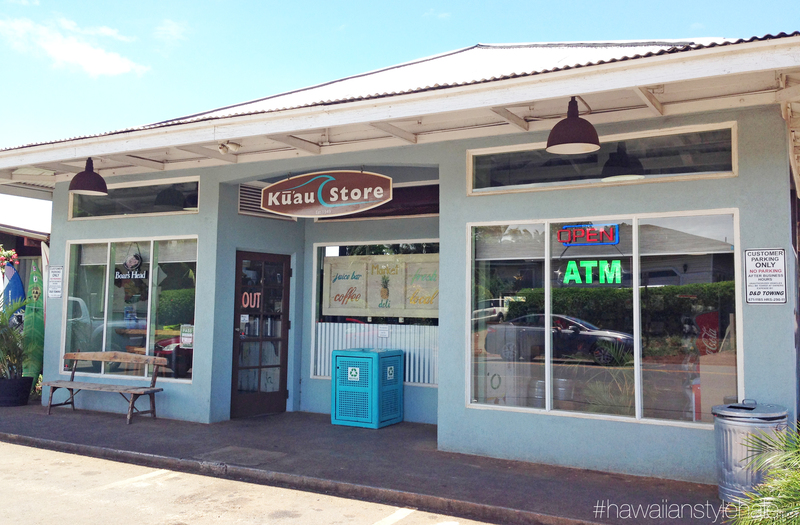 You are moments away from the legendary, the iconic, Ku’au Store. 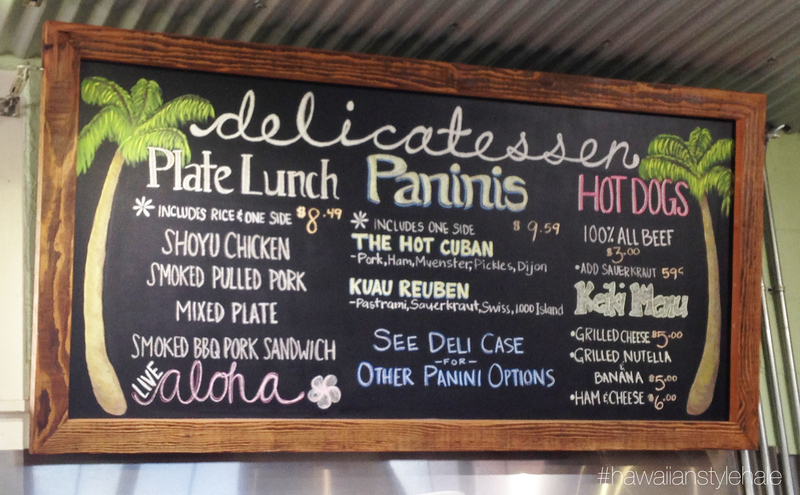 Formally known and beloved as Ku’au Mart, this eatery was established in 1942. It sat idle for a few years but was recently re-enegerized with new life, new paint, and new food! 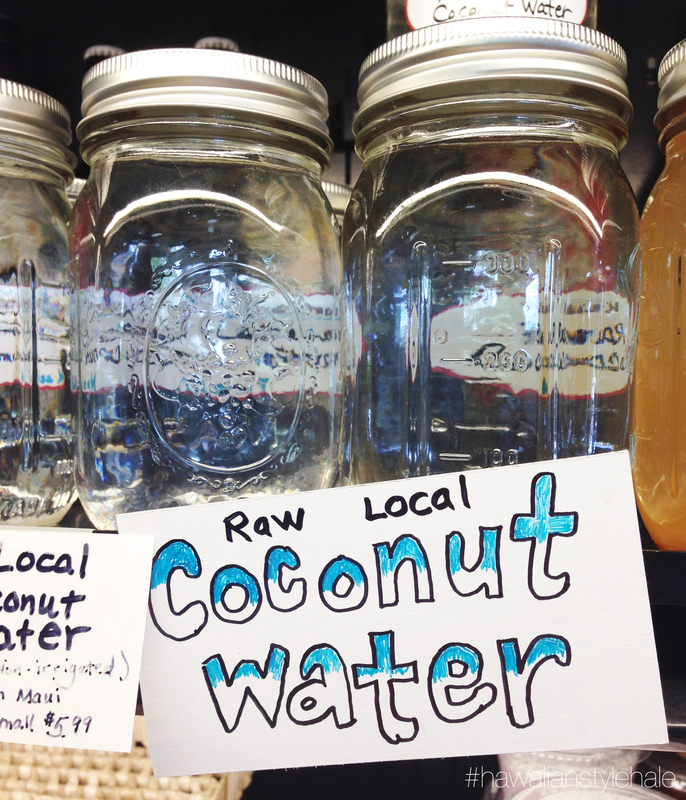 Their offerings include paninis, plate lunches, wraps, poke, smoothies, fresh pressed juices, an array of coffee beverages, local fruits, veggies and snacks as well as the local ‘mart’ fare that you would expect. 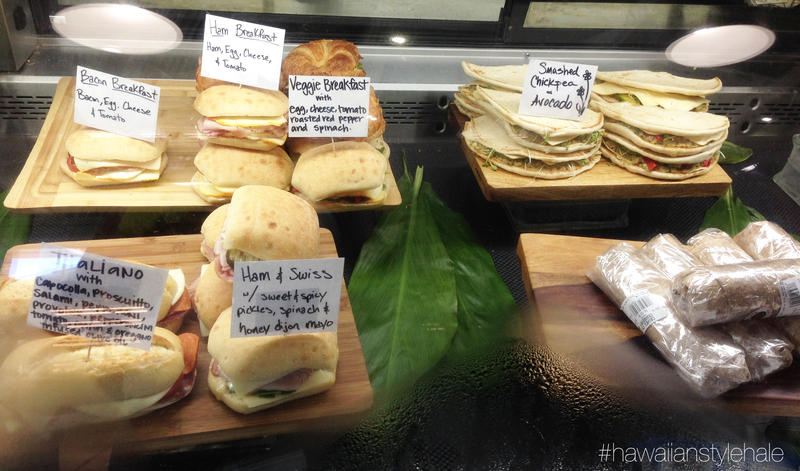 It’s the perfect spot to stop and have lunch or to grab and go. There are minimal table and chairs outside as well as the coveted wooden hightop right near the door which we envy every time we visit and which is why we think this shop is worthy of a post here (along with the rest of the charming details i.e. 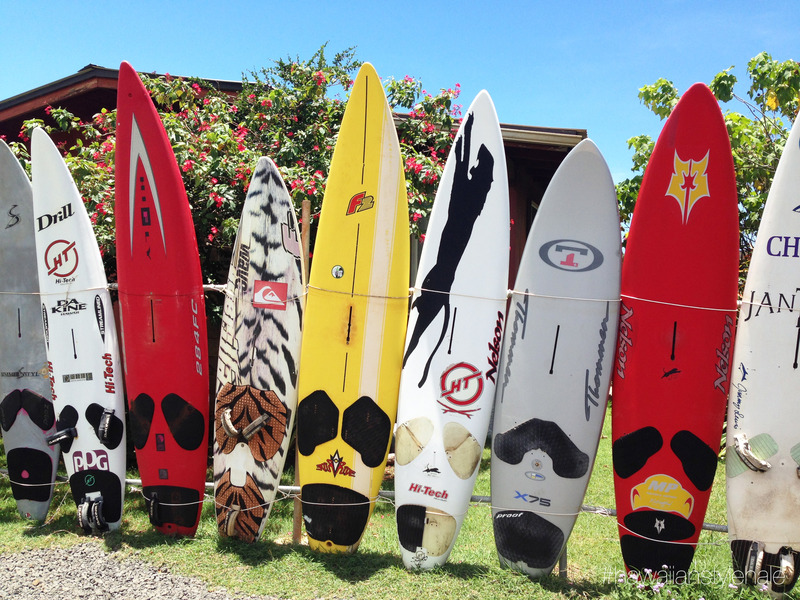 handwritten colorful chalkboards, light details, surfboard wall and more). 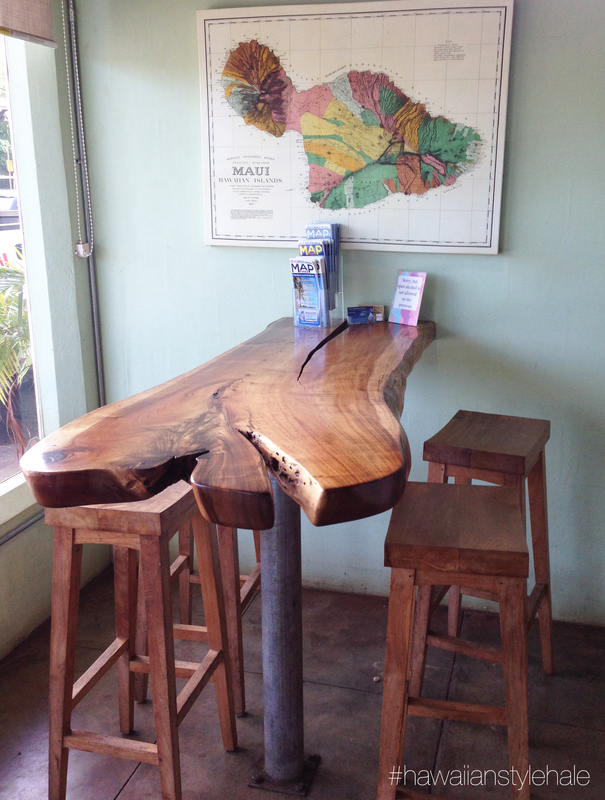 Next time you’re in Pa’ia and looking for a charming, quick, easy lunch spot- this is the place! And P.S. Did I mention the food is ‘ono!? !